3½ star accommodation with ground-floor one, two and three-bedroom units to choose from, some self-contained with kitchen facilities. RA 225 Penguin Road, Ulverstone, phone 0455 533 979, email pearsonsparadise@bigpond.com. Self-contained unit with queen-size bed, separate lounge and kitchen. The Blue Wren also provides Caravan and Campervan spaces. 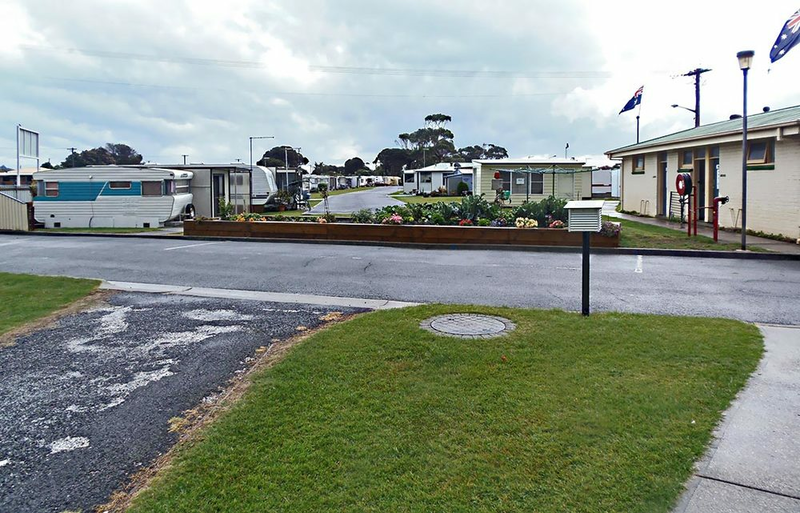 Short term caravan and motorhome RV parking for self-contained vehicles, with sea views. Four guest rooms all with ensuites. A continental and cooked breakfast is served in the formal dining room. Relax in the guest lounge or in the conservatory. This sunny north facing unit is ideally located overlooking beautiful parkland with sea views. It has easy access to the beach and is within walking distance to shops and services. 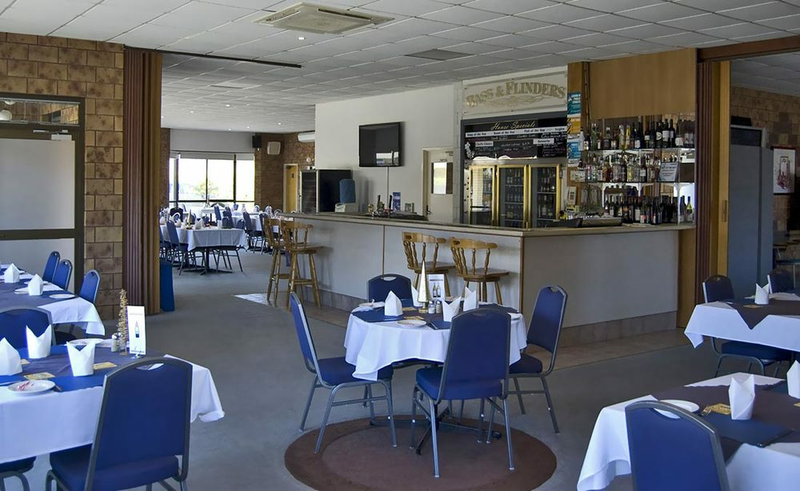 Continental breakfast is provided and hampers can be arranged on request. One bedroom unit, with a queen bed and a king single bed. Luxurious 4 star ocean front bed and breakfast with stunning sea views. Three fabulous guest suites, each beautifully decorated with a romantic/nautical theme and either a double spa or claw foot bath ensuite. New operators Christine and Doug Callander. Modern luxurious apartments with one and two bedroom options and a penthouse studio with remote moon roof and a soaker bath tub with shutters opening to the river views. Easy 3-minute walk to town via the walking/cycle pathway plus smart TVs with Netflix and unlimited Wifi. 70 South Road, Ulverstone, phone (03) 6425 6731 or 0418 550 700, visit www.ulverstoneaccommodation.com.au. This 3 bedroom, centrally located holiday house has been fully renovated and delightfully decorated, with a new kitchen and bathroom. This house can sleep up to 7 guests. The main and second bedroom has a queen bed, and the third bedroom has a double and a single bed. There is one bathroom and 2 toilets. Ulverstone’s newest apartments overlook the Leven River and offer comfort, space and everything you could need to relax between explorations or just to enjoy some quality 'me time'. 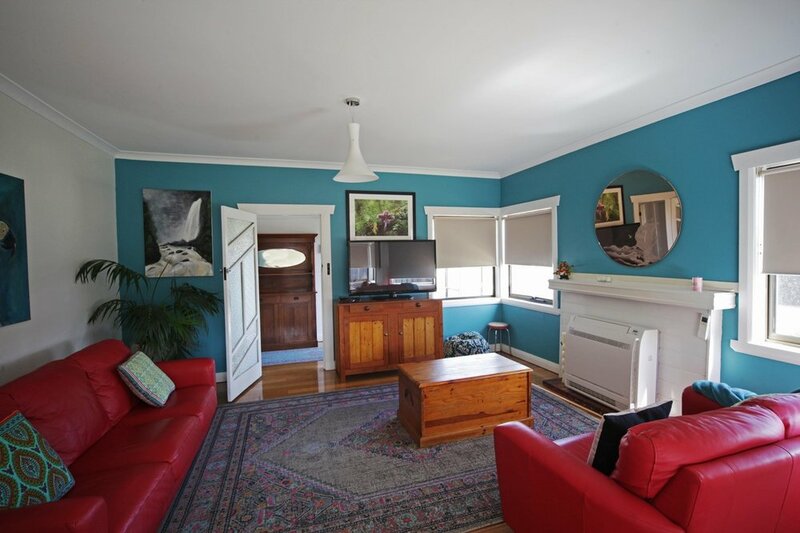 Newly renovated c. 1912 heritage listed property in the coastal seaside town of Penguin, Tasmania. Enjoy 180 degree uninterrupted north facing sea views over Bass Strait just 10 meters from Penguin beach. Relax and enjoy in this private stunning luxury 3 bedroom, 2 bathroom apartment of approx. 300sqm featuring spacious relaxed open plan living and entertainment areas decorated with beautiful artworks and stunning furnishings. Comfortably sleeping 6 guests, with an additional 2 guests upon request this property is ideal for holiday rental, special occasions and private functions upon request. Our large, beautifully appointed apartments are all fully self-contained and we have a range of accommodation to suit couples, families, large groups and business travellers. Our apartments are a perfect getaway for couples and ideal for persons in a wheelchair or with limited mobility. 134 Main Road, Penguin, mobile 0400 492 611 or 0415 634 136, email penguinbeachhouse@outlook.com. With beautiful ocean views this newly renovated home is positioned only footsteps from the beach and a short stroll to the town centre. Ideal for couples or extended families and friends. Sleeps up to 8 people with 4 bedrooms and 2.5 bathrooms, fully equipped kitchen and unlimited free WIFI. A beautiful self-contained home on the Penguin foreshore facing the sea. This 4-bedroom home can cater for up to 8 people and has 2 bathrooms. Relax with a glass of wine on the veranda watching the sunrise or sunset. Spacious rooms, well-appointed kitchens, modern furnishings and a guest laundry. Located in town close to the beach. Complimentary WIFI. fax 03 6437 2839, email info@themadsen.com, visit www.themadsen.com. 6A King Edward Street, Penguin, phone 03 6437 2588, email info@themadsen.com, visit www.themadsen.com. The Madsen Hotel is typically booked out during most of the year, and so it decided to grow and open The Madsen Retreat rather than turning customers away. The 4 star standard is maintained at the Retreat. Your hosts, Christopher and Ting, will ensure you are well looked after. 851 Ironcliffe Road, Penguin, phone 0438 905 788, email tania@therustichut.com.au, visit www.therustichut.com.au. A private oasis by the beach. The perfect destination and accommodation to celebrate that extra special occasion. Spend your day at the beach, soaking up the sun and swimming in the ocean. Finish your day relaxing by the fire. King size bed, large screen TV, Nespresso coffee machine and the restful sound of the ocean at your doorstep. 1519 Loongana Road, Loongana, phone (03) 6429 1394, fax (03) 6429 1229, email info@mountainvalley.com.au, visit www.mountainvalley.com.au. 468 West Pine Road, West Pine, Penguin phone 0438 375 294, email pineberry.retreat@bigpond.com. This newly renovated luxury home has 3 bedrooms, 2 bathrooms with ocean views from the kitchen, lounge, dining, master bedroom with ensuite and second bedroom. Minimum stay 2 nights. 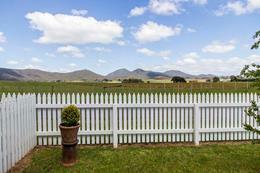 Enjoy the peace and tranquillity whilst taking in the views of the mountains, and rich farmlands. Two bedroom fully self-contained, self-catering cottage in a bushland setting. Wind and solar powered, kennel available, minimum stay 2 nights.